Siblings Jo Ann McEndree, Kaye Kasza, Steve McEndree and Cathy Tebay are fourth generation ranchers who are highly committed to the economic and environmental health of their Pipe Springs Ranch, located near Springfield, so it can be passed on to future generations. Located southwest of Fowler, Rancho Largo Cattle Company is a 14,000-acre cow/calf and stocker cattle ranch managed by Grady, and co-owned with his former college roommate Robert Lovelace. Depending on weather and grass availability, Grady adjusts his numbers of cows, calves and stocker cattle through buying and selling, making him less dependent on one section of the industry. 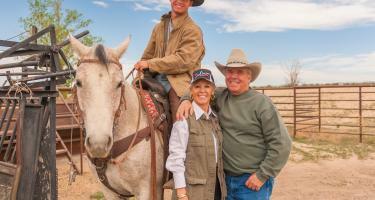 Based on the outstanding management of key ranches in the northern half of the Wet Mountain Valley, Randy and Claricy’s children will represent the family’s 5th generation working and caring for the lands between the scenic Sangre de CristoMountains and the Wet Mountains. 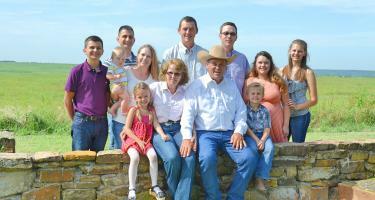 The Rusk’s have led the way in Custer County with progressive ranch management and some of the first conservation easements to slow the expansion of subdivision into the Valley’s working lands. 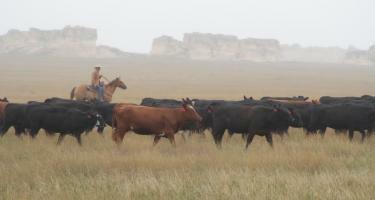 In addition to the Rusk Hereford Ranch, the Rusks lease and manage the Kennicott, Beckwith and BJP Ranches. Randy and Claricy serve on many boards, associations, and foundations, demonstrating a true commitment to leadership and civic responsibility within their community and throughout the industry. 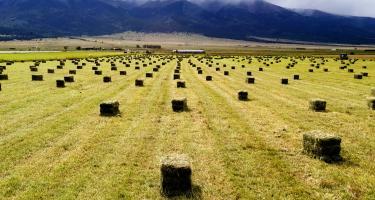 The San Isabel Ranch, located in Westcliffe, Colorado has a 135 year history of agriculture. The success of the ranch can largely be attributed to the late Dr. Ben Kettle and his wife, Bet. The operation is now run by the Kettles’ daughter, Sara Shields, and her husband, Mike, but Bet is still very much involved. 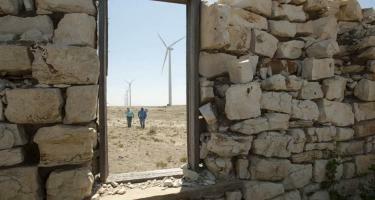 The Tureceks have ranched and farmed on the eastern plains of Colorado since 1910. 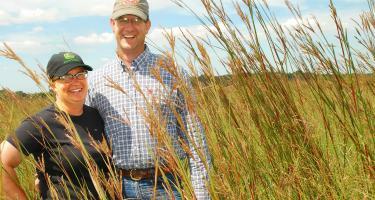 Over the last 36 years, Keven and Sandi Turecek have combined land from both sides of the family to create what is now the Stacked Lazy 3 Ranch, a cow/calf and dryland wheat business comprised of 5,000 acres of farmland and 30,000 acres of pasture. 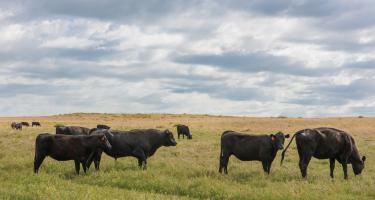 Jim and Jo Stanko’s ranch, near Steamboat Springs, has been in the family since 1907. Their love for their land is evident in that Jim cites the ranch’s centennial anniversary as one of the greatest accomplishments of his life. Turkey Creek Ranch, sandwiched between the U.S. Army’s Fort Carson and the growing urban community of Pueblo West, is owned and operated by Gary and Georgia Walker, and consists of approximately 65,000 deeded acres managed for both wildlife and livestock. A deep passion for the land entrusted to them, and a willingness to embrace and adapt to change, has kept the Visintainers at the forefront of innovative ranch management. Russell and Tricia Davis’ Wineinger-Davis Ranch, located in Lincoln and Crowley Counties, was established in 1938 as a 400 acre livestock operation. 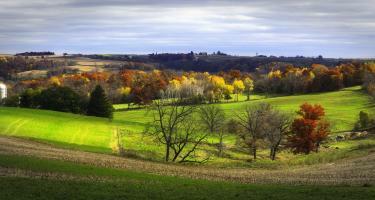 It currently consists of over 12,000 acres. 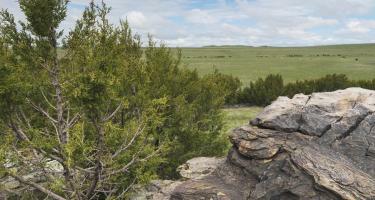 Ranch operations include beef production, birding, ecotourism, agri-tourism, and hunting. 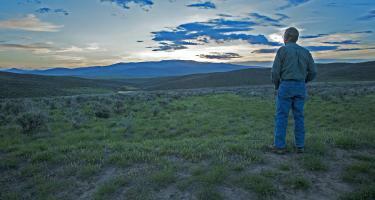 Making sound land management decisions on one’s own land is done by thousands of landowners and managers every day. But managing one’s own land and the land of fifteen landlords is a feat few successfully juggle. Randy and Nicole Small are among the few. The Smalls care for all the land they manage as if it were their own, with the goal of improving upon the foundation laid by previous generations. For more than 40 years the Hoeme family has been on the cutting edge of conservation practices that help their farm’s profitability, soil health, water quality and wildlife habitat. Growing up, Rod Vorhees’ father taught ecology at local school. Although he didn’t realize it at the time, Rod was essentially immersed in an ecology class at home on the farm while he worked with his father, preparing him for a career dedicated to the family farm and conservation. 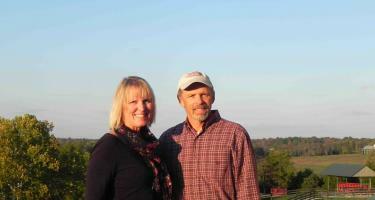 Today Rod manages Lazy VJ Farms, his family’s fourth generation cow/calf ranch in Fredonia. 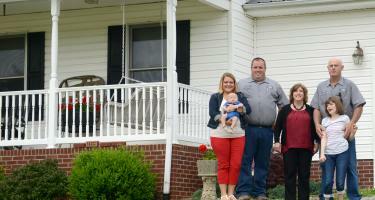 After growing up on a small dairy farm, Bill Sproul dreamed of one day owning his own cattle ranch. 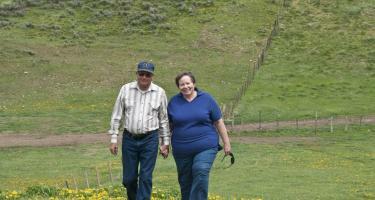 With the support of his family, Bill purchased the land that is now Sproul Ranch, and manages cattle with his wife Peggy and their son Raymond. Thirteen years ago, with no real farming experience, Jon and Sylvia Bednarski purchased 35 acres at the headwater of Harrods Creek in LaGrange, Kentucky. Having grown up in rural America, Jon and Sylvia had a dream that their own children would share that lifestyle and grow up in similar fashion. While growing up in Hickman County in western Kentucky, Jerry Peery operated a tractor on his father’s farm starting at the age of seven. He farmed side-by-side with him during his teenage years, and began farming on his own after graduating from high school in 1957. While working tirelessly at their jobs running a custom injection molding firm, Ray Pelle and his son Harry decided to pursue their dream of owning land to reconnect with nature and hunt. 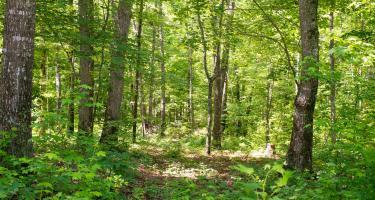 Ray bought the first 400-acre tract of land in 1982 in the knobby Tallow Creek area of northern Taylor County. After Ray’s passing in 2003, Harry and his wife Karen continued to follow the dream and have since added another 1,100 acres of forest onto Tallow Creek Farm. Achieving soil health through the use of no-till farming and cover crops is nothing new to Edward (Myrel) Trunnell, who began farming more than six decades ago. 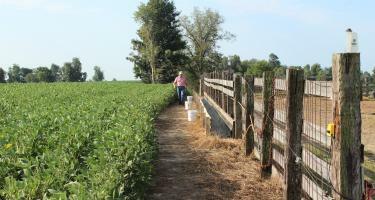 Conservation is synonymous with his idea of farming. Conservation ethics were instilled in Mark Turner at a young age while helping his father on the family farm. When Mark took over Turner Farms, he saw the negative effects on the land from the moldboard plow, and decided to purchase his first no-till drill in 1983. The farm is now no-till and cover cropped on every acre. To many in Munfordville, Charlie Williams is simply known as “the tree man.” From a young age, Charlie developed a passion for woodland stewardship after he received 90 acres of land from his grandfather for Christmas. 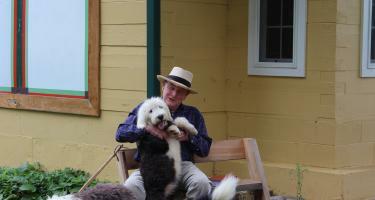 He has nurtured and expanded his landholdings into 1,200 acres, including over 1,000 acres of woodlands.